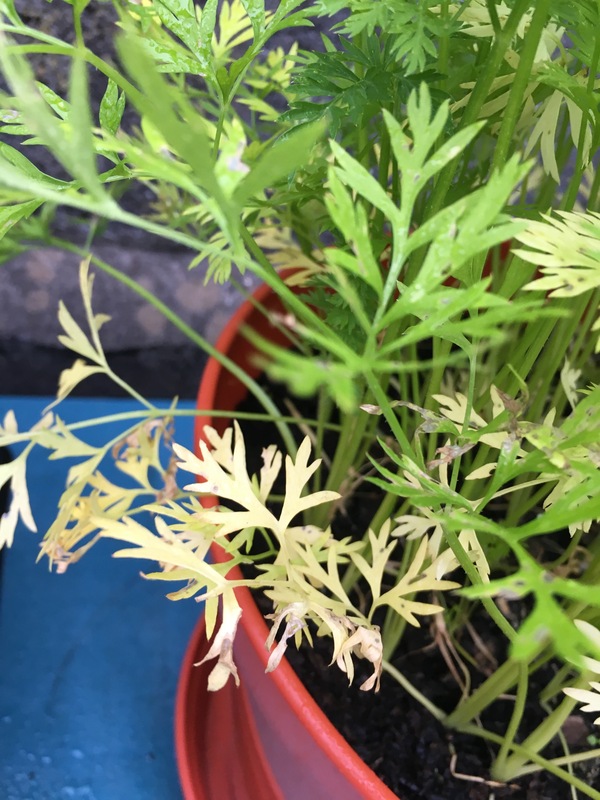 I have been growing carrots in pots and some of the greens seem to be losing its colour. This is the first I've ever grown carrots. I'm just wondering if anyone would know why and what i might be doing wrong? the new leaves are healthy. I'd thin those carrots out a bit. They won't swell when they're that close together. ok, will do. How much spacing would you give them? A couple of inches each? also, is it worth removing the older leaves? Or should I leave them? 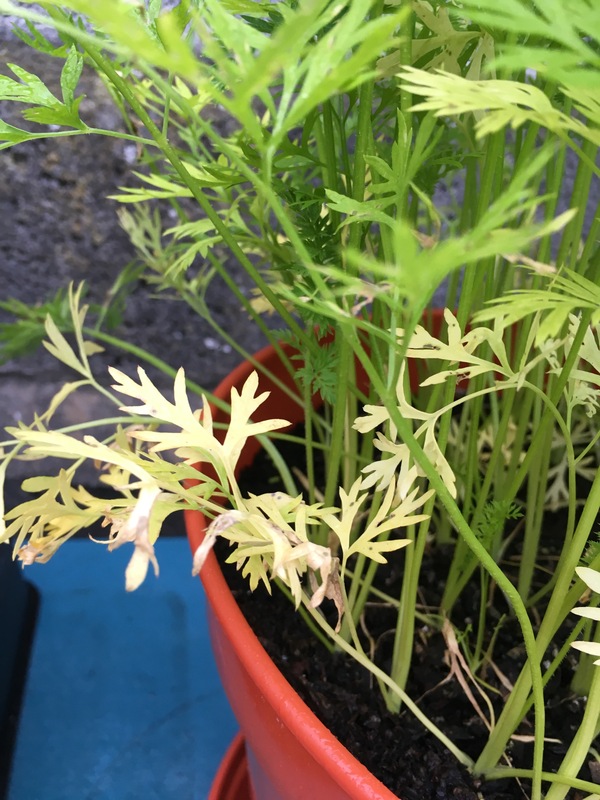 Once your carrot seedlings are large enough to handle they will need thinning out to allow each carrot room to grow properly. This is best done in stages so that you have spare seedlings should slugs attack! For the first thinning aim to leave one seedling every 2-4cm, pulling out any in-between. 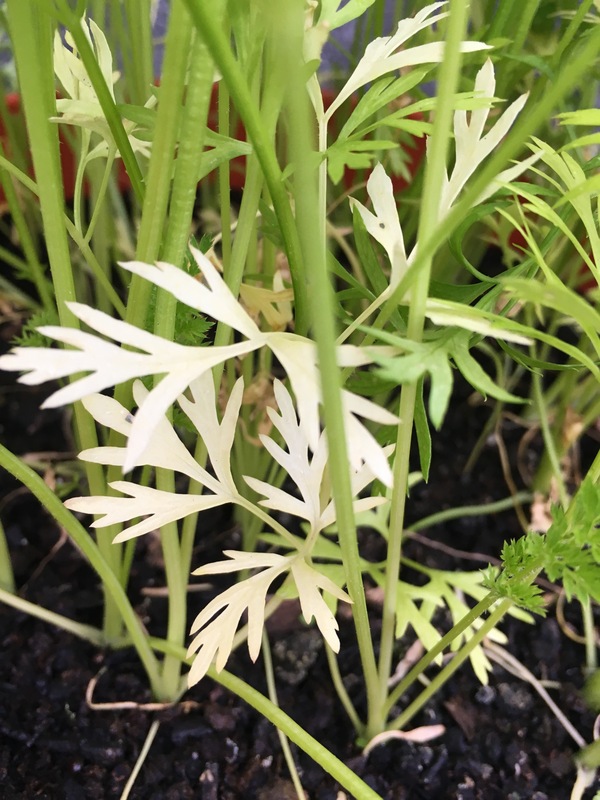 About four weeks later you can further thin your carrots to a final spacing of 10cm (4in) - the thinnings taste delicious in salads. If you’re growing finger or baby carrots then a final spacing of 5cm will be sufficient." Ok, thank you. I appreciate your help.